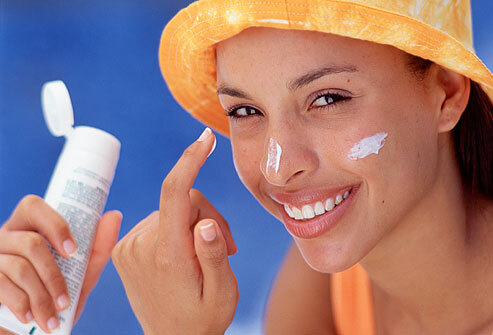 Does Sunscreen lotion prevent Skin Aging? Sunscreen represent defense from solar rays and new evidences show that a daily slathering may not only protect you from skin cancer and sunburn, it may protect your skin from aging. Australian researchers in the study divided the patients under two categories, 903 white adults under age 55 — the average age was 39 — into two groups. One group was asked to apply SPF 15 (or greater) sunscreen on their head, neck, hands and arms every morning, after every bath or shower, after spending a few hours in the sun and after sweating heavily. The other participants could use sunscreen however they wished for. The results were studied by the dermatologists four and a half years later. Images of the subject hands were studied at the start and four and a half years later. Overall, subjects of that group showed 24% less signs of skin aging than the control group. This anti aging effect of sunscreen was seen in all daily-use participants, no matter what age they were.